Being out of a job is tough. If you’re unemployed, money is probably one of your primary concerns. But the irony is that being unemployed often makes obtaining credit difficult, if not impossible. Getting an unsecured credit card is almost certainly out of the question. Banks are likely to turn you down as well for loans, unless you can provide a co-signer or sizable collateral. Many desperate individuals turn to online lenders to get the cash they need. 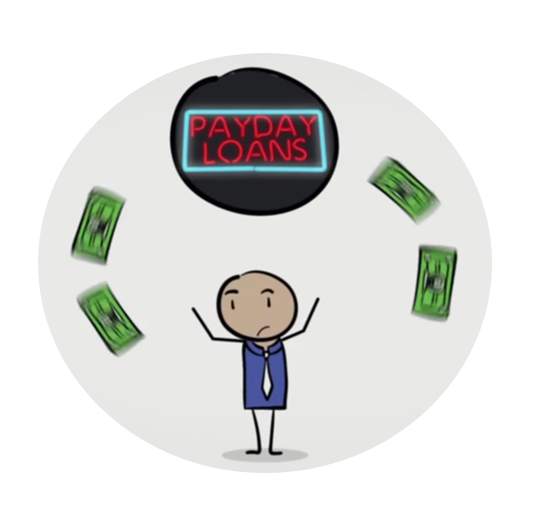 But fast loans online for unemployed borrowers often carry significant drawbacks and long term adverse consequences. The convenience they provide is short lived, with financial repercussions that can keep borrowers in debt for months, if not years. LoanNow represents a better alternative – we can provide the money you need without making your tough financial circumstances even worse. Many lenders offering fast loans online for unemployed borrowers are content to take payments from unemployment checks or from other government payments. They are more concerned with the fact that borrowers have consistent income sources than with the actual sources of the money. They also protect themselves by demanding super high interest rates and imposing impossibly short repayment periods. Borrowers who can’t pay their loans in full are drawn into a cycle of partial payments and rollovers that can persist for months, if not years. Borrowers often wind up repaying far more than the amount of their original loans before they can finally close out their accounts. At LoanNow, we don’t specifically offer fast loans online for unemployed borrowers. However, unemployed borrowers are not automatically turned down. We look beyond the obvious elements of your credit profile to determine if you are truly capable of repaying your loan. If so, you could be approved. Once you’re our customer, we help empower you to improve your financial circumstances over the long haul. We provide useful information and informative blog posts on our website. Our responsive customer service representatives are also available to help you deal with any questions or problems that might arise. If you fall behind on your payments, we work with you to get you back on track, without expensive rollovers that keep you locked in debt. If you’re able to establish and maintain consistent on-time payments, you’re rewarded with lower interest rates on future LoanNow loans – making it even easier to improve your financial profile. Why not let LoanNow help you deal with your financial shortfalls?